In October I was approached by Yellow Duck Productions to help with an episode of their BBC Wales series ‘Coming Home’. I was to conduct research into the wartime service of William Fry, a miner from Penclawdd in the north of the Gower Peninsula outside Swansea. William Fry was a relative of Spooks and Hustle actor Robert Glenister. William Fry left Wales in 1914, en route to a new life in Australia. At sea when war was declared, he arrived in Sydney in late August 1914. By the end of July 1915 William had enlisted in the Australian Imperial Force and sailed from Sydney on 8 October 1915 bound for Egypt. Whilst at Tel el-Kebir in February 1916 he transferred to the 53rd Battalion, a strange mix of Gallipoli veterans from the 1st Battalion and new, inexperienced reinforcements from Australia. The battalion, along with the 54th, 55th and 56th formed the 14th Infantry Brigade, part of the Fifth Australian Division. The battalion arrived in Marseille at the end of June and after a journey north through France entered front line trenches opposite Fromelles on 10 July. It was customary practice to provide new units with time to ‘bed in’ in a quiet, nursery sector in order to get used to the routines and peculiarities of trench life. No such luxury was afforded William’s 53rd Battalion as, within a week, they were selected to be at the vanguard of a strong attack against German trenches at Fromelles. After a day’s rest in billets the 53rd Battalion were back in the front line on 17 July. 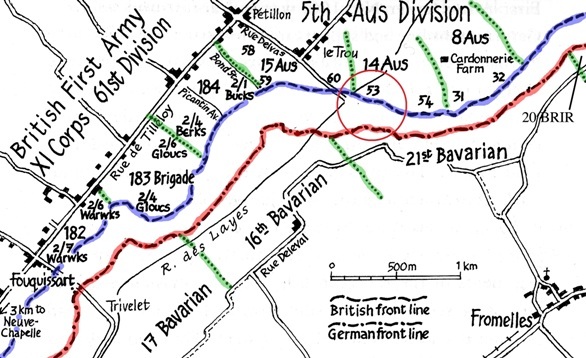 Map showing frontage for the Fromelles attack. The position of William Fry’s 53rd Battalion AIF is circled. The plan required an initial softening of German defences by artillery bombardment and the attacking infantry to advance at 1800hrs in broad daylight, capturing and seizing two lines of trenches. At 1743hrs the first wave moved out into No Man’s Land, followed 100 yards later by the next wave. At Zero Hour (1800hrs) the Battalion charged and captured the first two lines of trenches as planned but then, contrary to the agreed plan, pushed on ‘200 yds further to hold back enemy’s bomber who were counter-attacking’. Members of William Fry’s 53rd Battalion prior to ‘hopping the bags’ on 19 July 1916. Reproduced courtesy Australian War Memorial (ID Number A03042). The positions were held through the night but determined German counter attacks coupled with an exposed right flank forced the 53rd back across No Man’s Land to their starting position at 0930hrs on the 20th. Casualties for the operation totalled 625, an extraordinarily high figure which included the commanding officer. 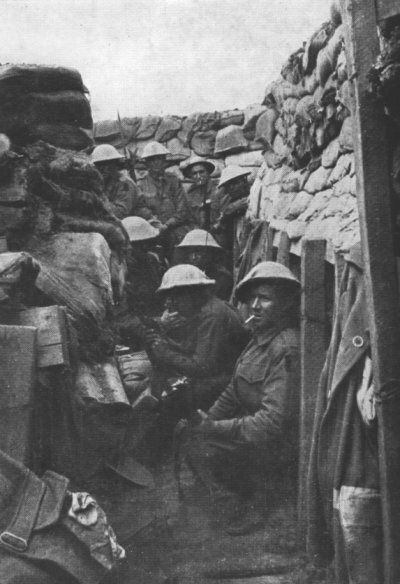 The attack at Fromelles was a complete disaster; losses for the Fifth Australian Division were over 5500 men. At some point on the 19th July William Fry was badly wounded; his medical records show he received GSW (Gun Shot Wounds) to both legs. He was evacuated along the casualty clearance chain, ending up at No.14 General Hospital at Wimereux on the channel coast. 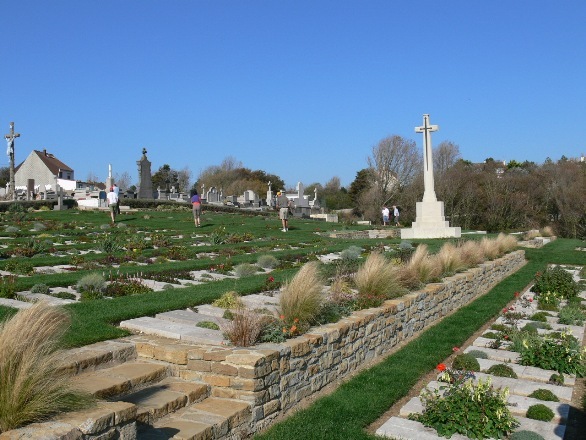 Sadly, William Fry died of his wounds at 4.15pm on 26 July 1916 and is buried at Wimereux Communal Cemetery. 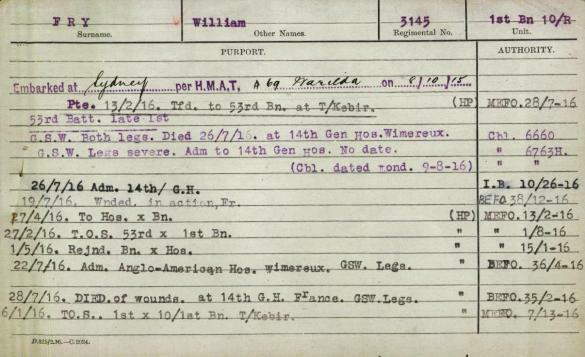 Extract from William Fry’s service record showing his movements from leaving Sydney in October 1915 to his wounding on 19 July and death at No.14 General Hospital, Wimereux. Prior to the day’s filming at St Gwynour’s Church in Penclawdd Robert was completely unaware of this part of his family’s history. Using the Battalion war diary and maps I was able to talk through William’s service and the 53rd Battalion’s attack on Fromelles. In many ways it was a typical example of the global scale of the war. A miner, all 5ft 2 ¼ inches of him, seeking a new life in Australia but enlisting for King and Country and travelling all the way back to Europe to do ‘his bit’. Fromelles was an ill-conceived diversion against tactically superior German forces but this should not detract from the endeavour, patriotism or simply a longing for involvement in the war of William Fry and his mates in the 53rd Battalion AIF. It was especially poignant leaving the church and walking up the path to my car. 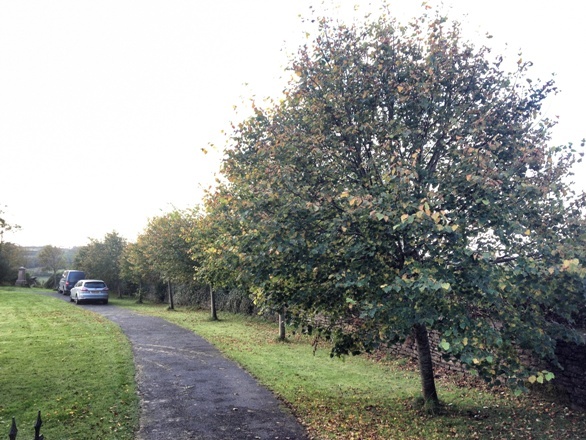 It is lined with lime trees – replacements for the original trees planted in the 1920s to commemorate local men lost in the war. The tree-lined entrance path to St Gwynour's Church, Penclawdd. Each tree represents a local men killed during the war.